I have been active on campus in various organizations and clubs. I am amember of the Velma Fudge Grant Honors Program, Student Government Association, Florida Georgia Alliance for Minority Participation (FGAMP), Collegiate Women of Empowerment, The Premed Society, and a former member of the Presidents Student Advisory Council. I have also served previously on the Royal Court as Miss Sophomore for the 2016-2017 scholastic year. My involvement in Habitat for Humanity and Alpha Phi Omega National Service Fraternity has afforded me the opportunity to serve members of the Albany community as well. As a chemistry major, I have found an interest in serving other people through science. It is my goal to work at the Ann and Robert H. Lurie Children's Hospital of Chicago aiding children diagnosed with cancer or a blood disease. I want to help meet the needs of children whether physical, mental, or emotional. Mu ultimate goal is to start a nonprofit for adolescents in underprivileged areas of Chicago, Illinois to expose them science, technology, engineering, mathematics, and medicine. My most memorable moment as Miss Albany State University has been the opportunity to host a Think Like A Woman session for freshman young ladies. At the session I spoke about the different trials and tribulations I've faced, as well as how to stand tall in the face of adversity as a young, black woman. The event gave me the opportunity to showcase my passion for uplifting minority women. I am Brooke Ashley Kane, a graduating senior, Political Science major, hailing from Upper Marlboro, Maryland and I serve as the 39th Miss Bennett College for the 2018-2019 academic school year. On December 11, 2018, Bennett College received the news that during the annual meeting of the Southern Association of Colleges and Schools Commission on Colleges (SACSCOC) that Bennett College will be removed from its SACSCOC membership. Our 18th President, Dr. Phyllis Worthy Dawkins, announced that we needed $5 million for an appeal. We are in need of the $5 million dollars because we may lose our accreditation, and the thought that the Land of Black Girl Magic - a safe haven for many girls who attend the institution - may close, puts great fear in our hearts and minds. As a result, Bennett began a social media campaign called "Stand with Bennett" to raise the necessary funds and promote awareness on a global scale to conserve our Oasis. In 1873, Bennett College was started in the Warnersville Methodist Episcopal Church, presently known as St. Matthews United Methodist Church, by seventy young men and women whose focus was on Elementary and Secondary level studies. By 1878, a group of emancipated slaves purchased the present site of the institution and in 1926, the Women’s Home Missionary Society as well as the Board of Education of the Church, decided to make Bennett College of Greensboro, North Carolina, a college formally for Women. For over 150 years, Bennett Belles have made a consistent impact within their community and the world. Even today, Bennett College is preparing young girls to be educated, productive, well informed citizens and most essentially, to become phenomenal women in their own right and on their own terms. The Bennett Belle is our beloved icon, the formal representation of our prestigious institution. Belles are compelling, and their profound ringing has brought communities together. As Bennett Belles, we hold ourselves to a higher standard, a code of morals and ethics and we ensure that our ringing voices are heard, not only for the sisterhood at Bennett but in the world that we expect to make a valuable difference in. Our Belle Creed teaches every Belle that strength, wisdom, and compassion are our gifts. A Bennett Belle is a phenomenal woman and she is a leader shaped for the future. 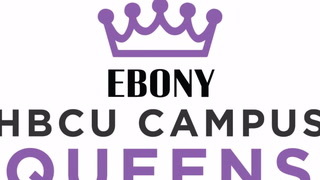 We ask that Ebony Magazine and the Ebony HBCU Campus Queens Competition supports Bennett College and myself, and allow us to claim a place in the magazine while standing with Bennett. Click here to #StandwithBennett and make a donation.